Recorded practically alongside Live The Dream, the first two Recollective projects were an extension of the style present in the second album, Live The Dream. “Re:Collective : Presence:” was the first of the dual EP project and was a concept about ideas on both an individual level (recollection) and a “collective” level. There is more distorted guitar giving the tracks on Presence a bit of a “rock n’ roll’ flair but there are still a few ambient interludes to fulfill the ambidustrial genre. On the flip side, Absence was an abstraction of the ambient styling and presents a strange feeling of lack of structure and placement. “Presence” and “Absence” first released on MySpace as their own pages. 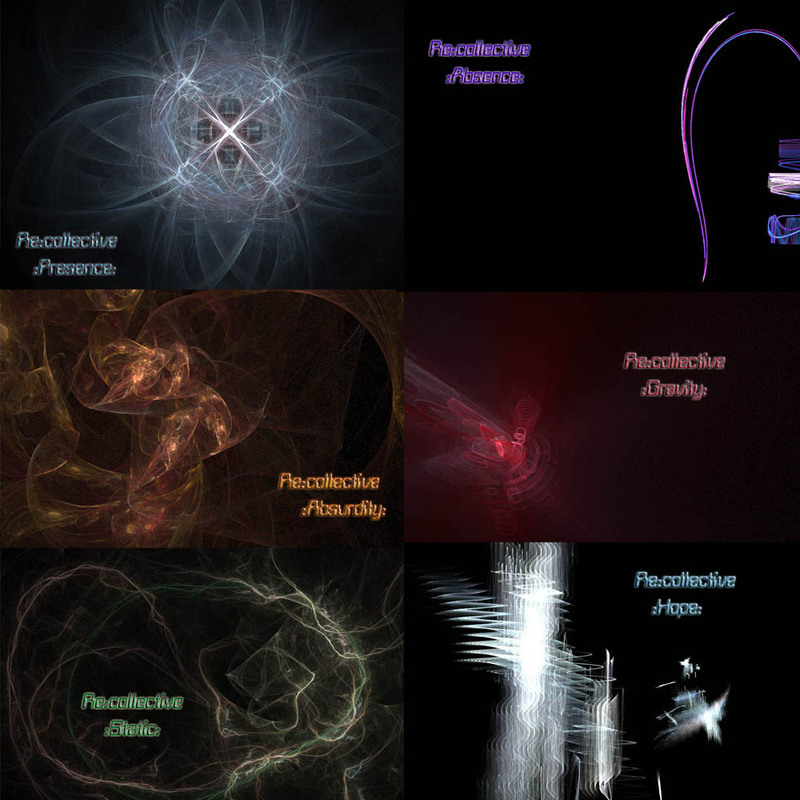 The other four ReCollective’s were planned and had art for when the first two were created but didn’t get recorded or released until much later.